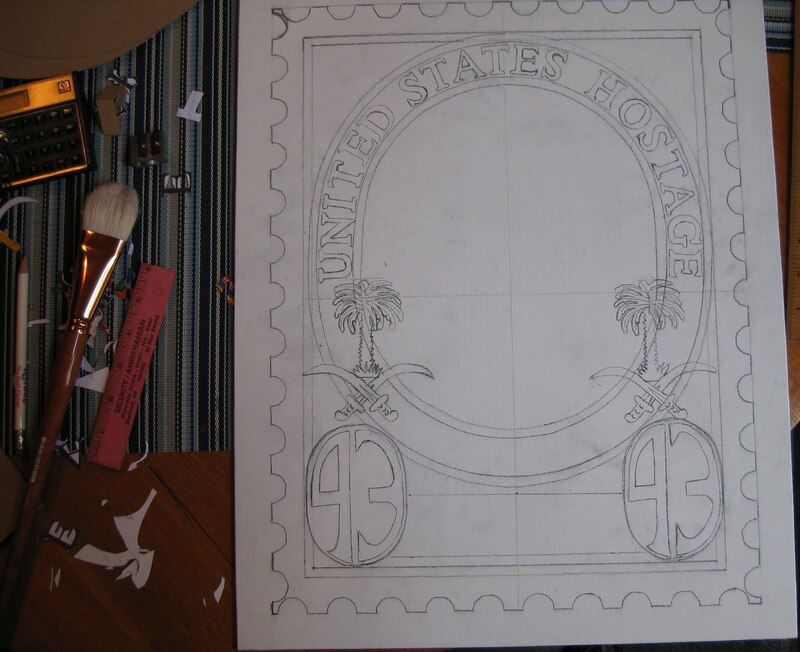 This week I have been working on a new stamp. (See last post.) I am enjoying working on this piece as there is little else I can do with my left leg in a brace. I enjoy creating my political satire stamps. Can you guess what this one is about? When I complete the drawing phase, I can beginning painting.